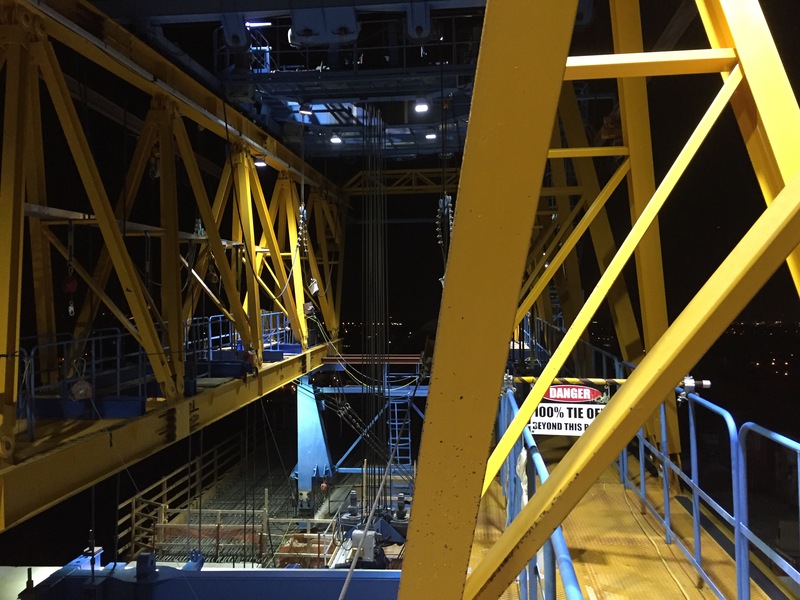 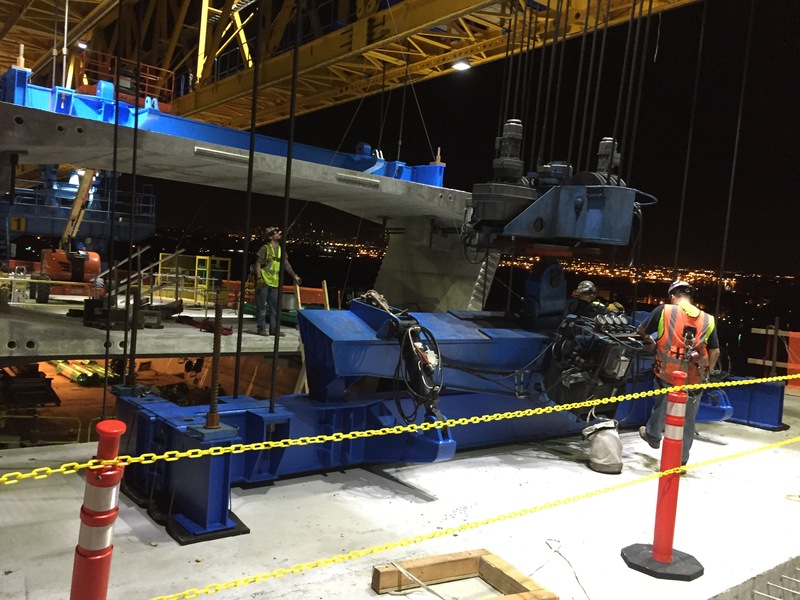 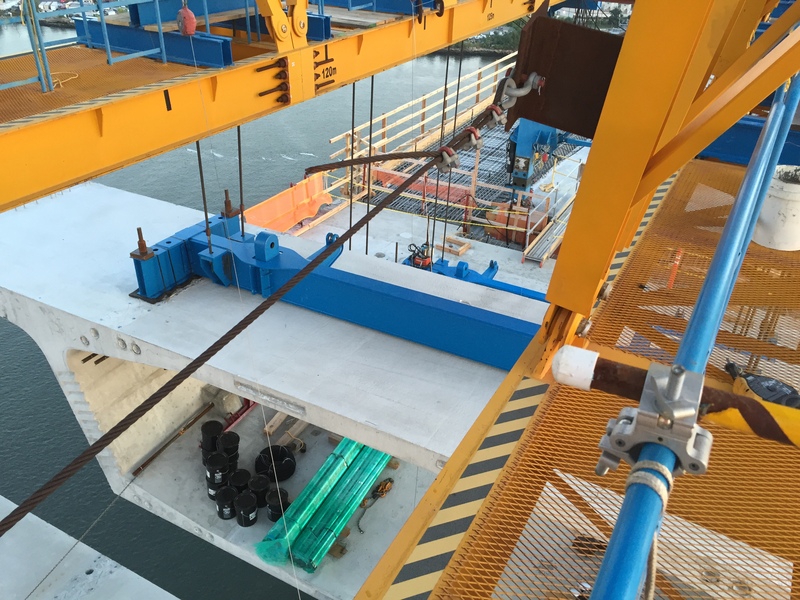 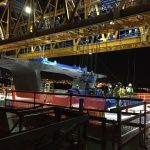 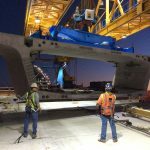 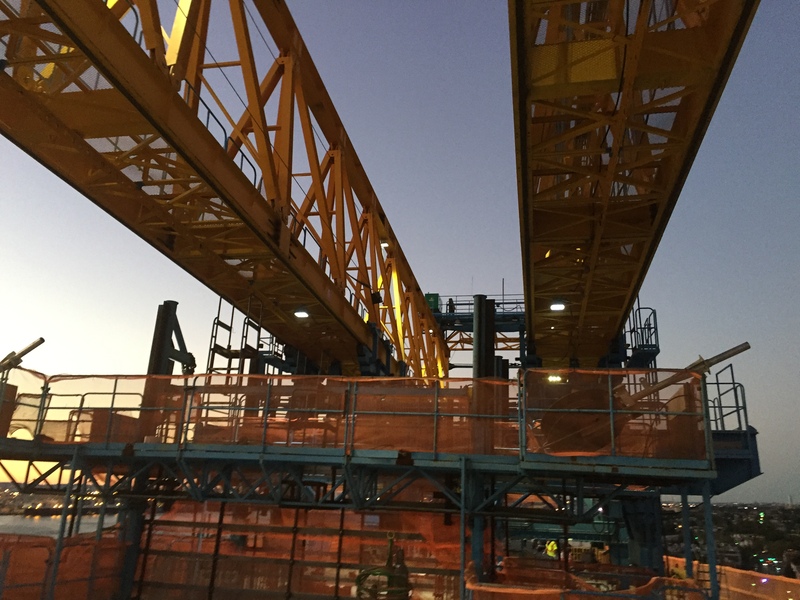 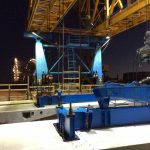 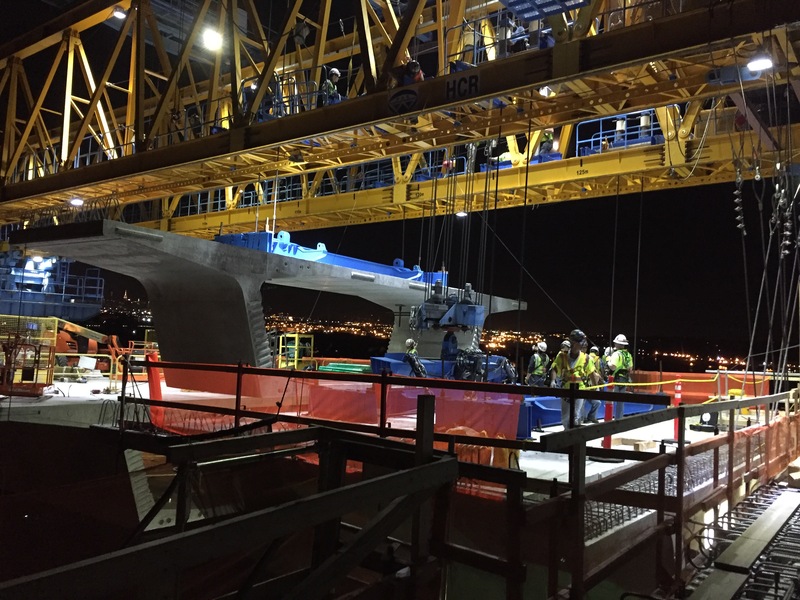 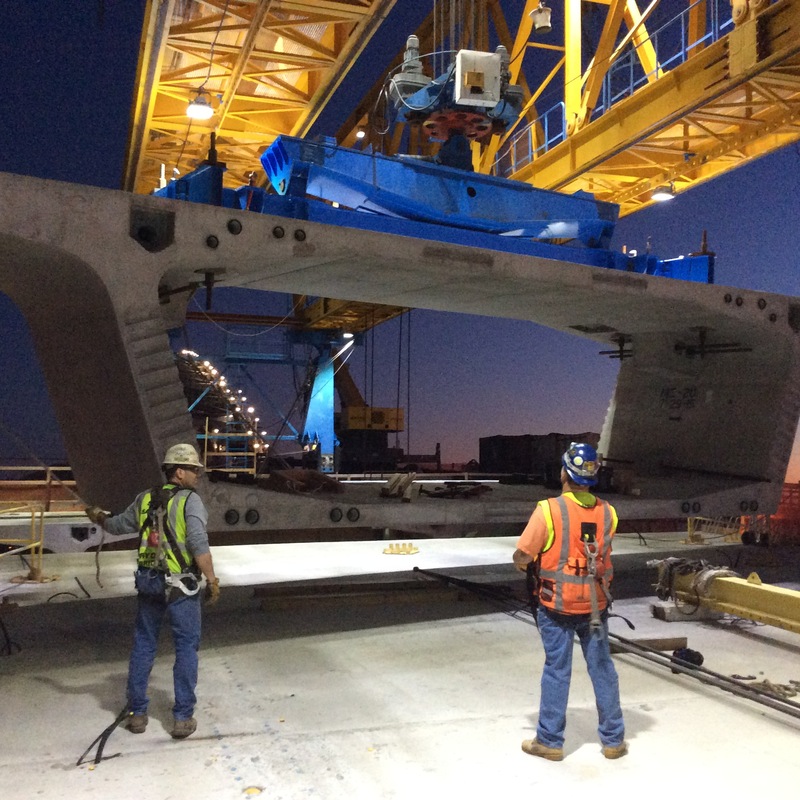 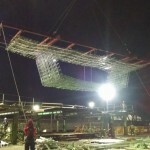 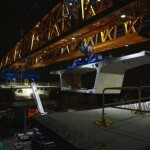 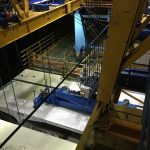 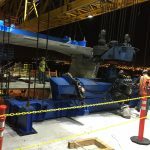 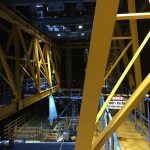 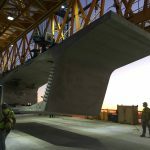 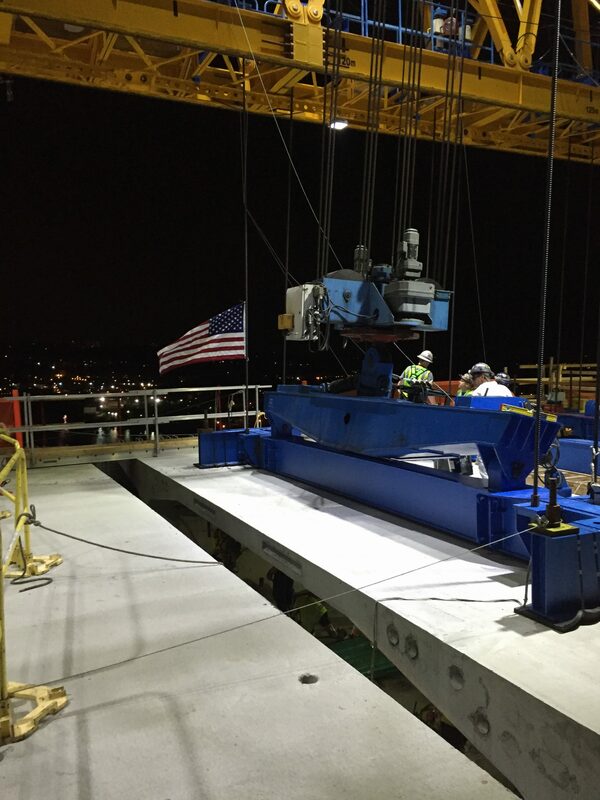 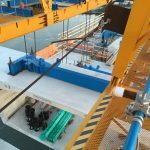 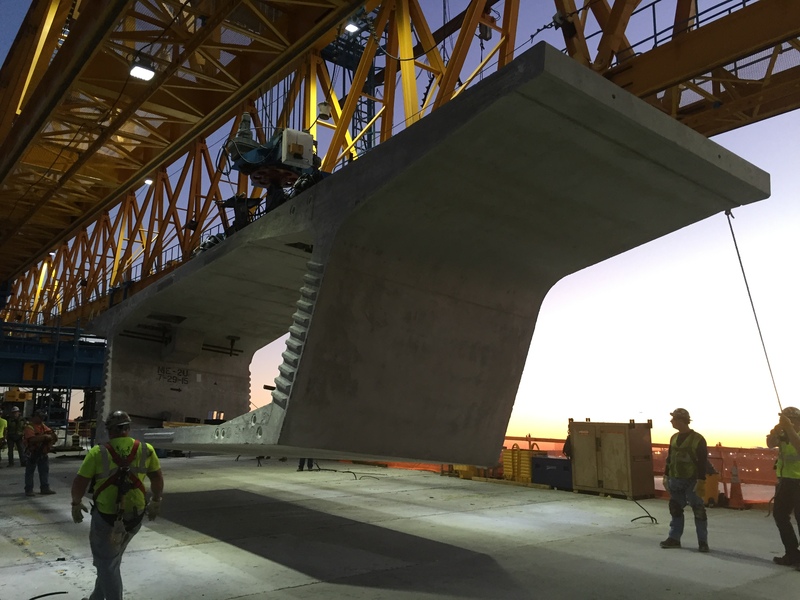 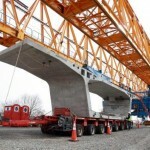 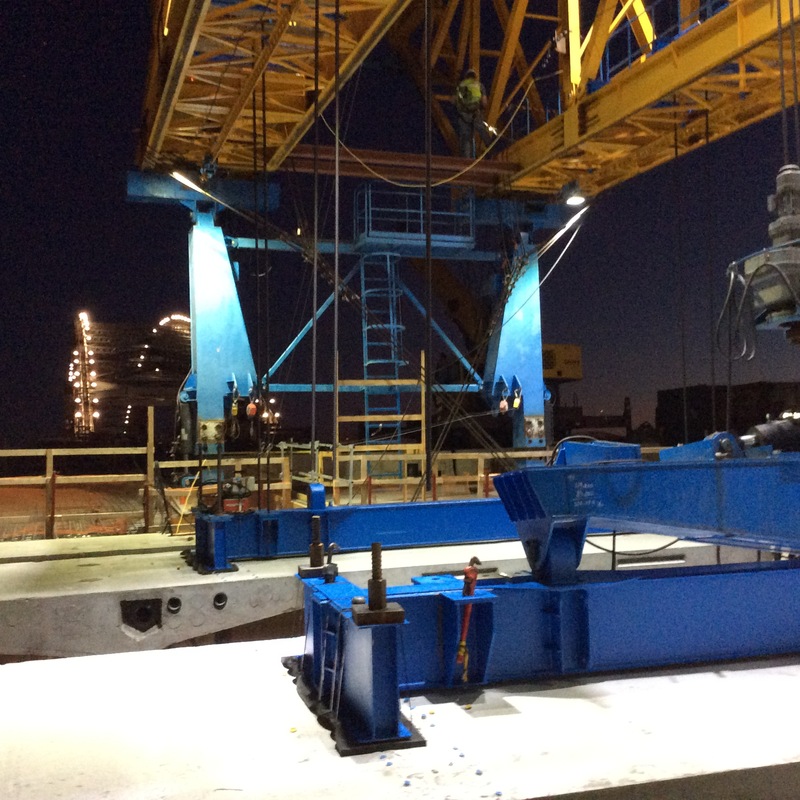 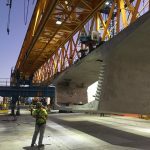 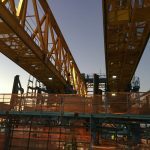 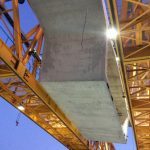 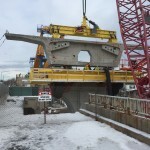 Bayonne bridge replacement recent photos videos showing segment erection for the approaches using a launching gantry. 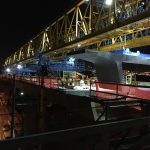 The Bayonne Bridge is an arch bridge spanning the Kill Van Kull connecting Bayonne, New Jersey to Staten Island, New York City, carrying NY 440 and NJ 440. 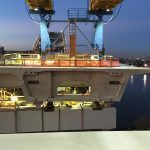 The existing bridge with a clearance of 151 ft. is an obstacle for the new Post-Panamex super container ships to dock at Port Newark and the Elizabeth Port Authority Marine Terminals in New Jersey and at Howland Hook on Staten Island, New York. 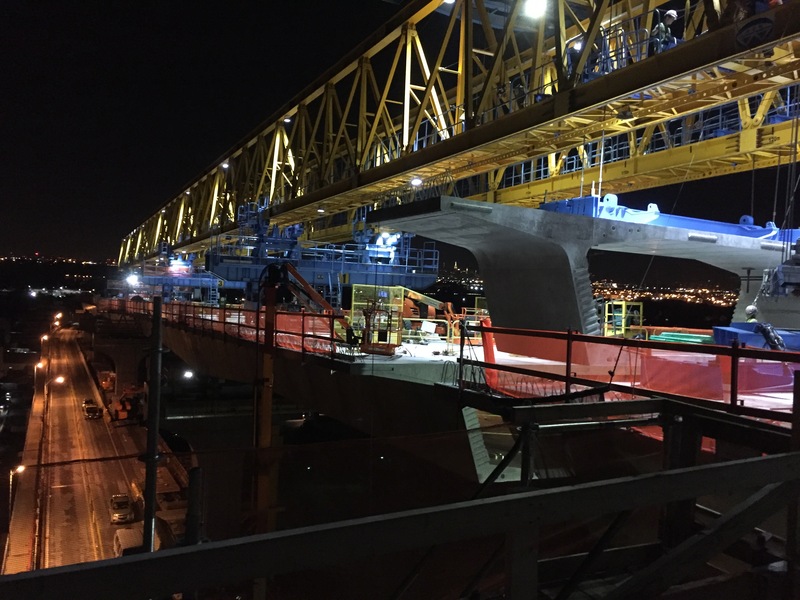 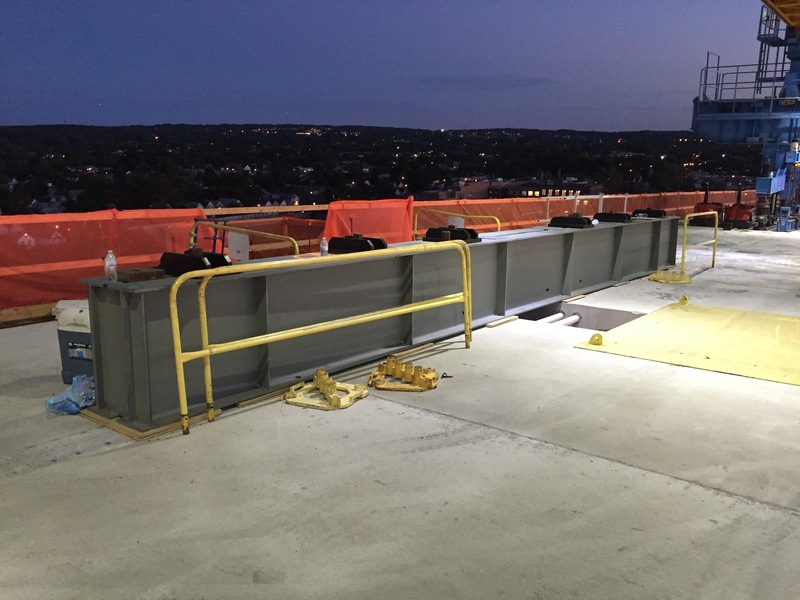 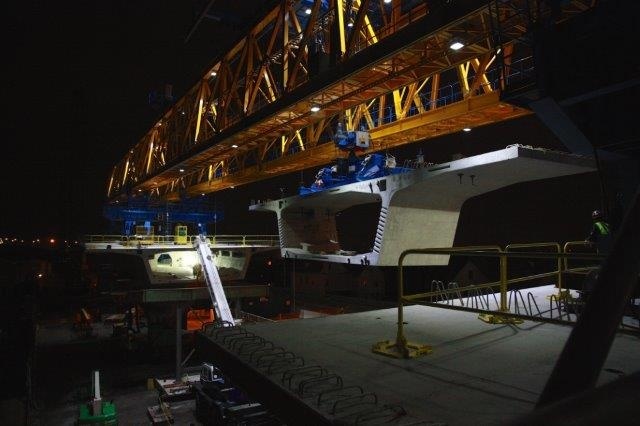 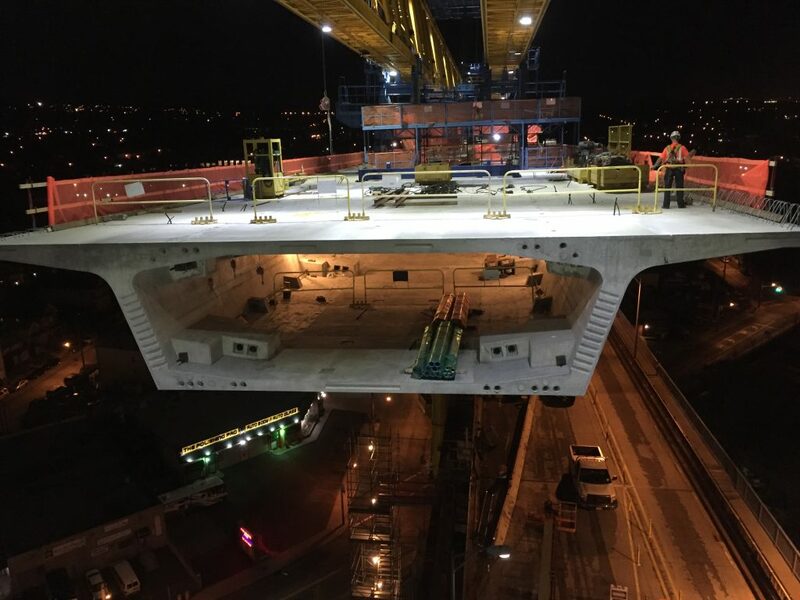 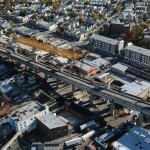 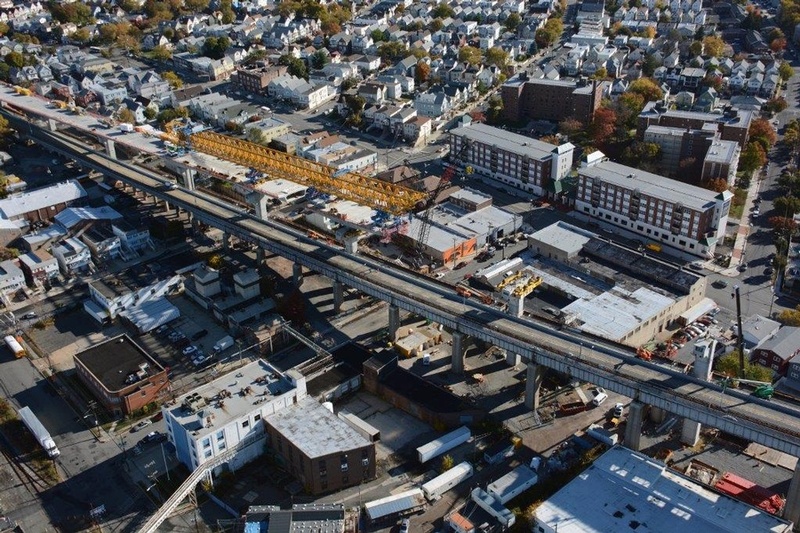 This $743 million project raises the bridge deck by 64 ft. for a clearance of 215 ft., creates 12 ft. wide lanes including a bicycle and pedestrian lane, and installs a median divider and shoulders allowing for future mass transit expansion of the Hudson-Bergen Light Rail system. 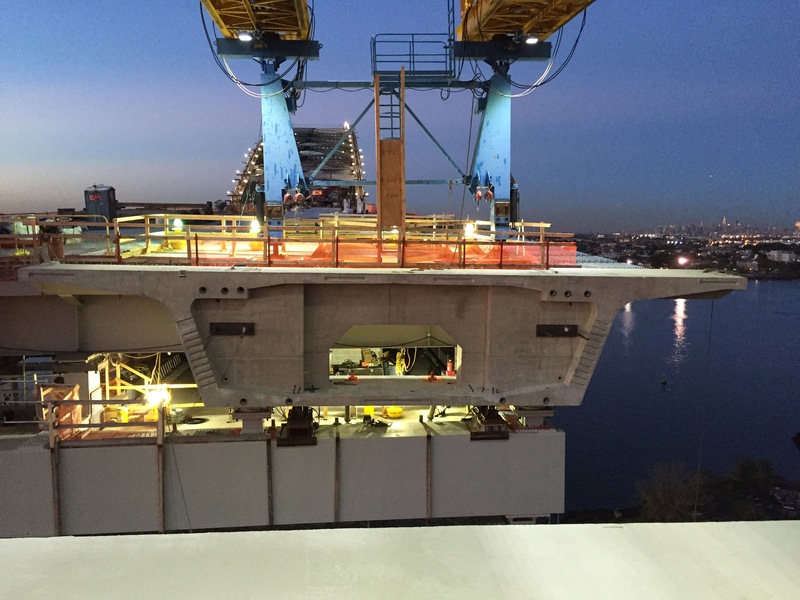 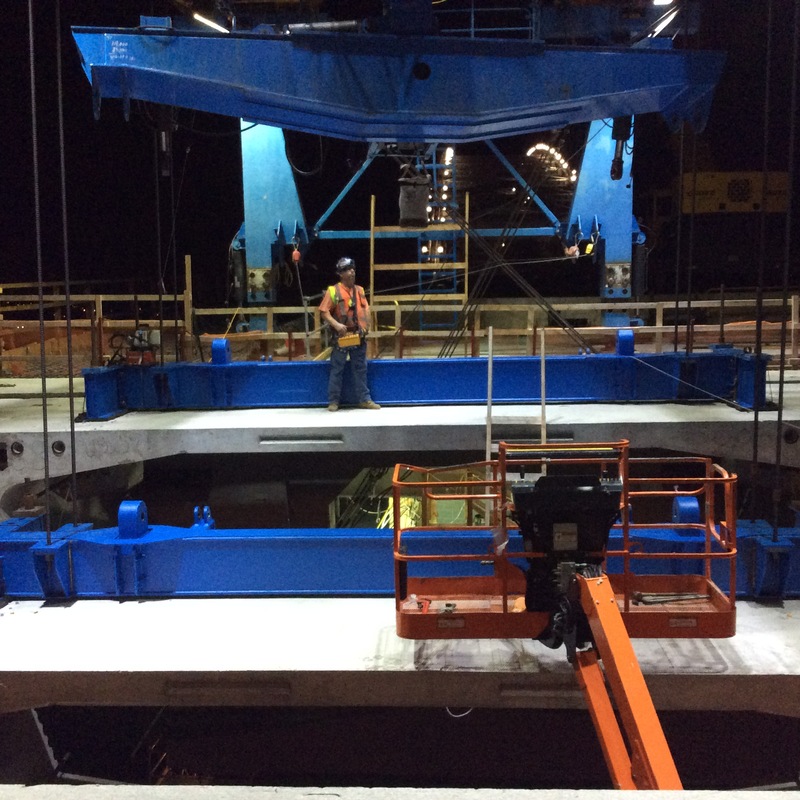 The roadway deck is being constructed above the existing roadway while traffic continues to flow on the deck below. 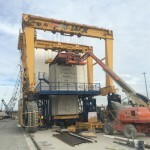 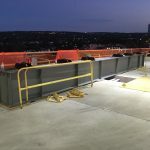 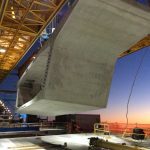 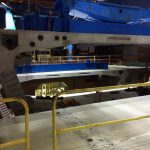 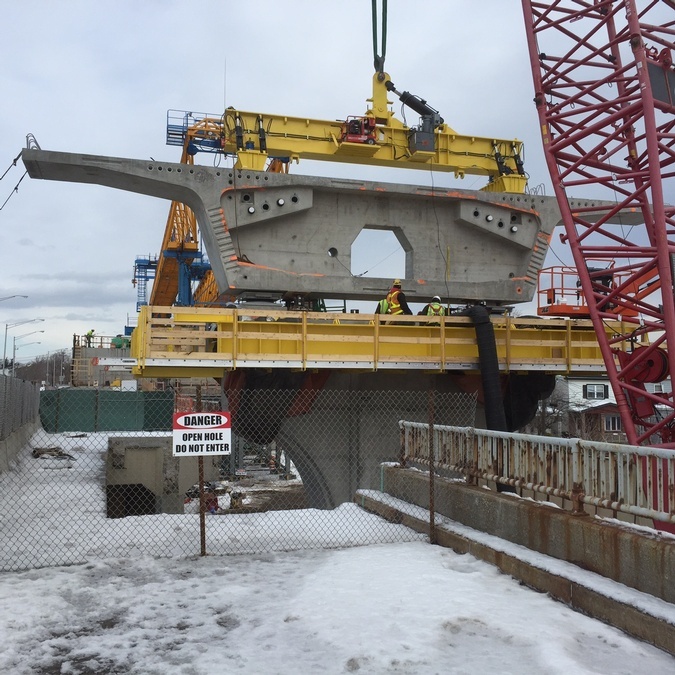 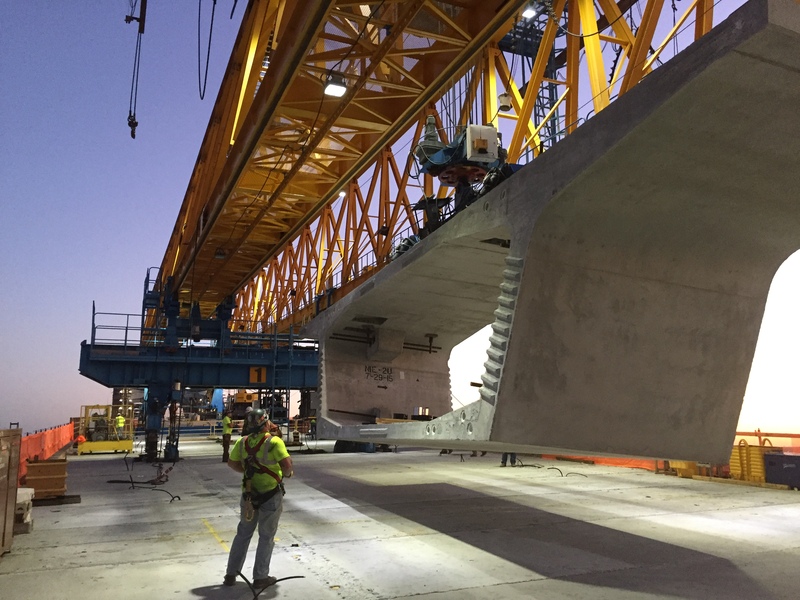 The new precast segmental approaches erected utilizing a launching gantry are being constructed adjacent to the existing roadway in a heavily populated area. 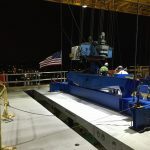 The New York approaches are 2,380 feet-long, and the New Jersey approaches are 2,925 feet-long. 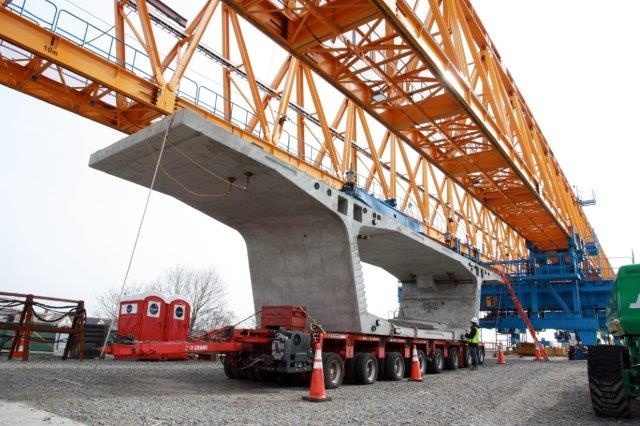 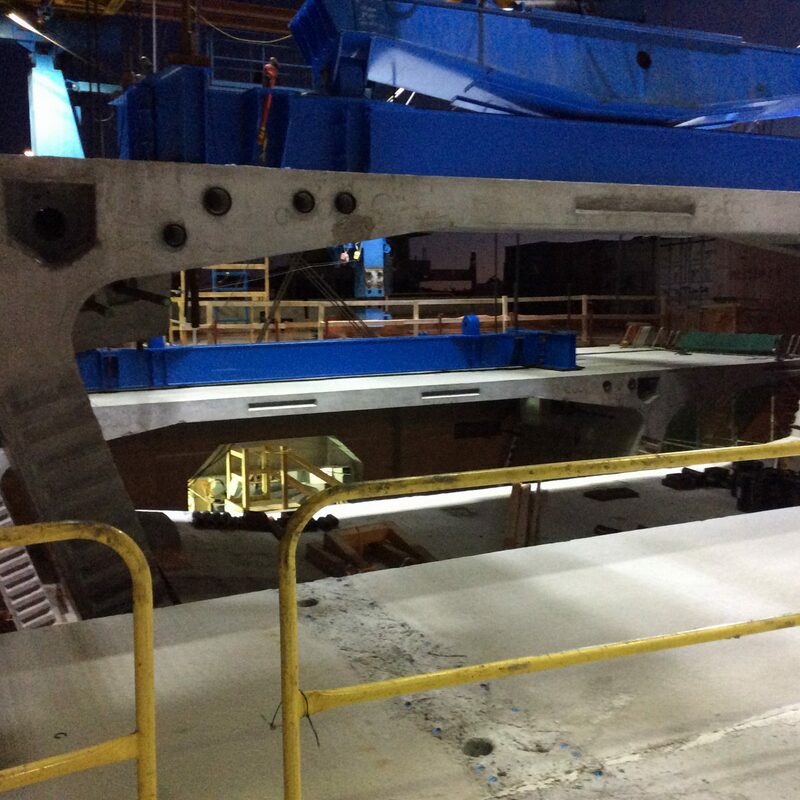 Total number segments are as follows: superstructure 1,069; substructure 512. 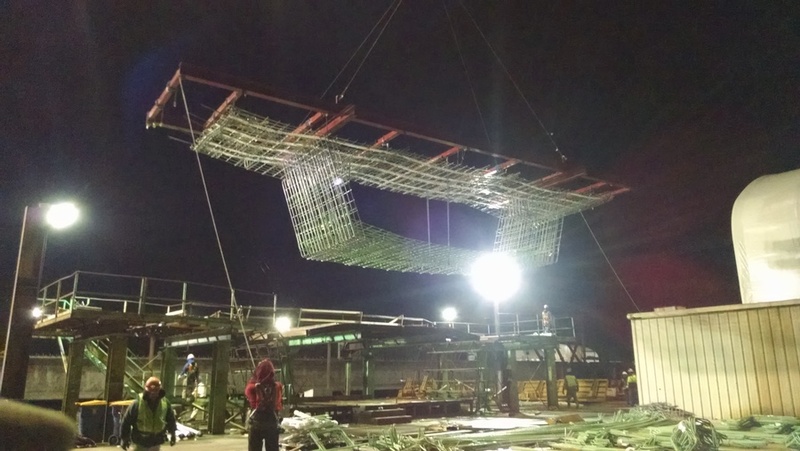 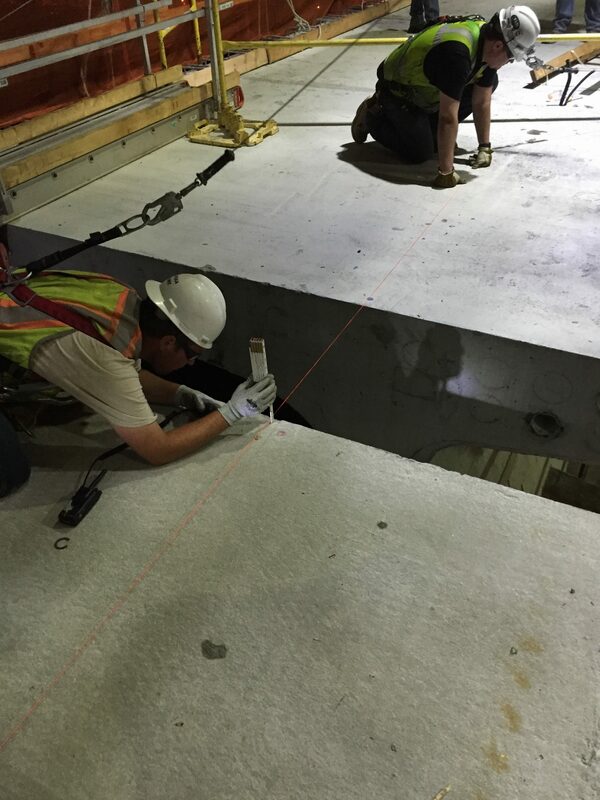 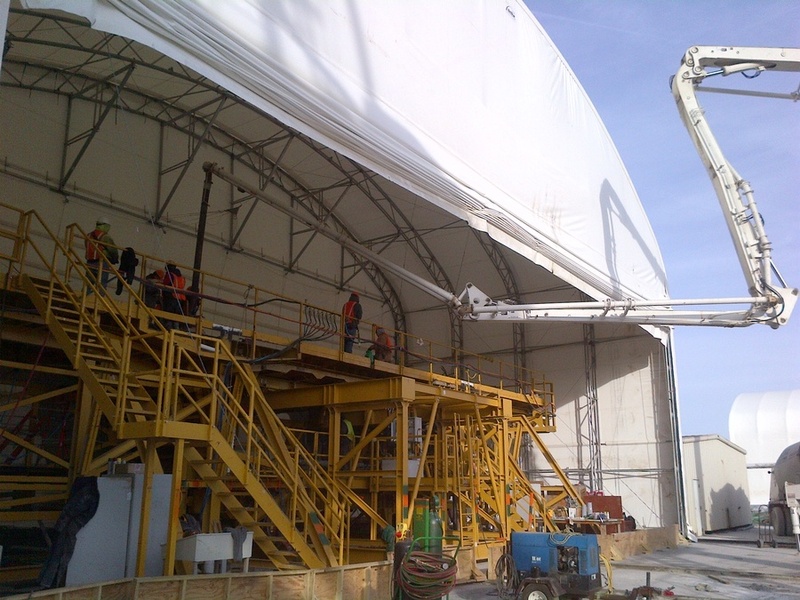 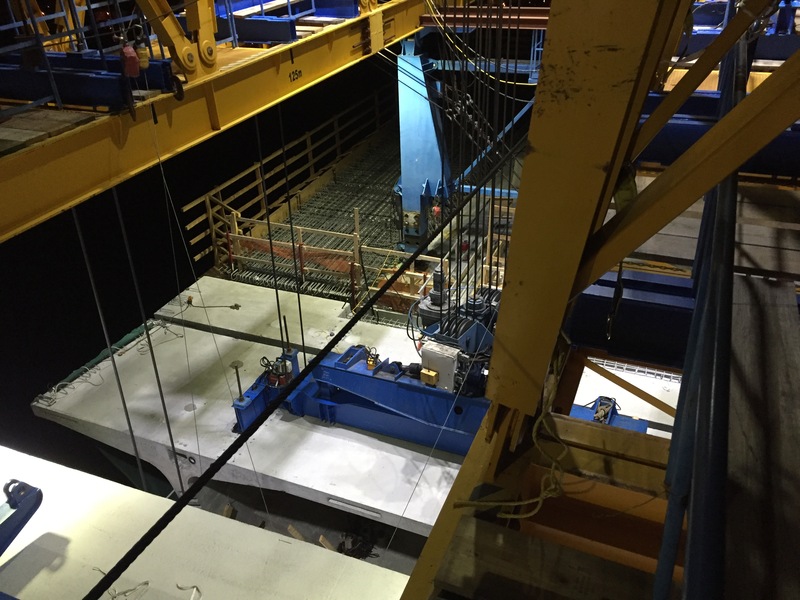 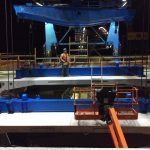 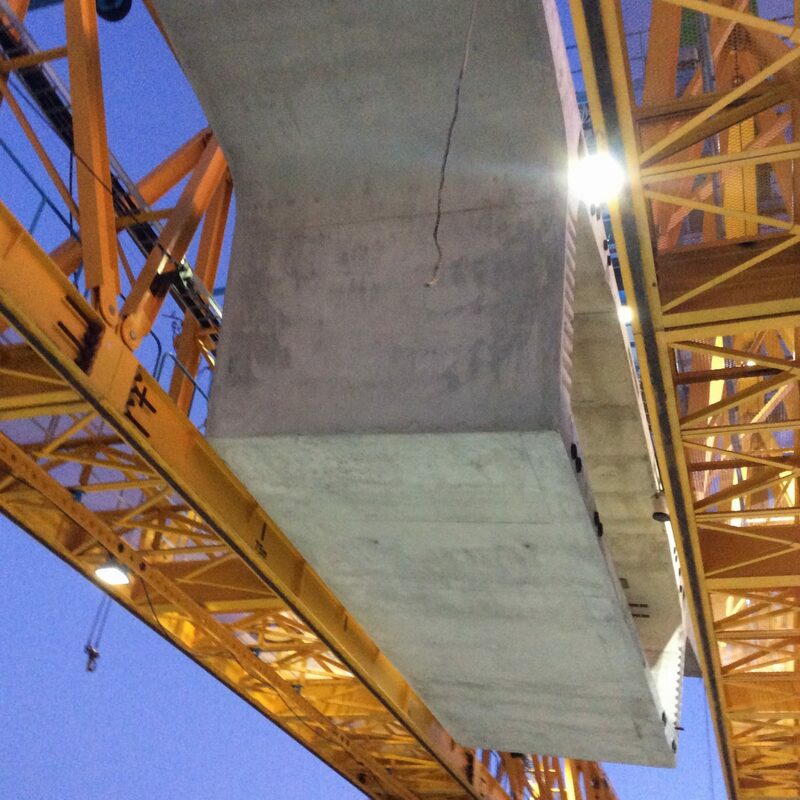 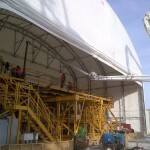 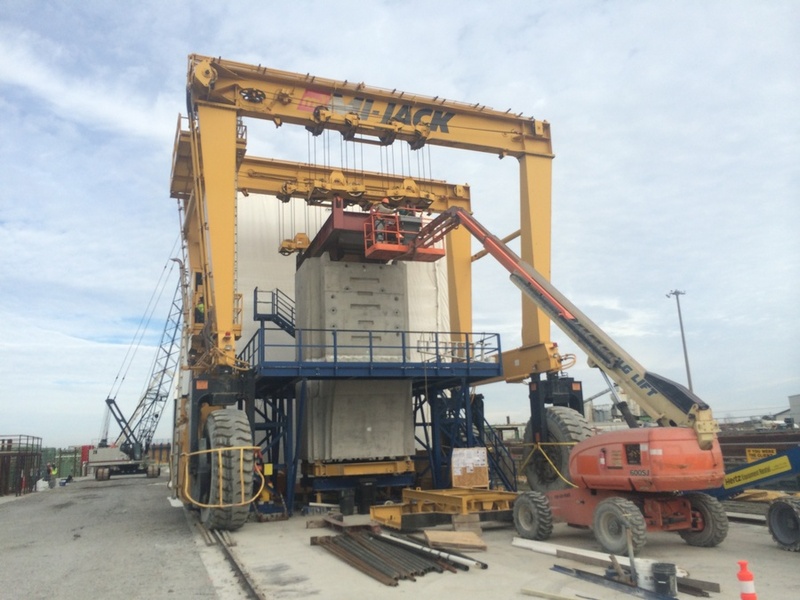 FINLEY is providing construction engineering services for the precast concrete segmental approach structures. 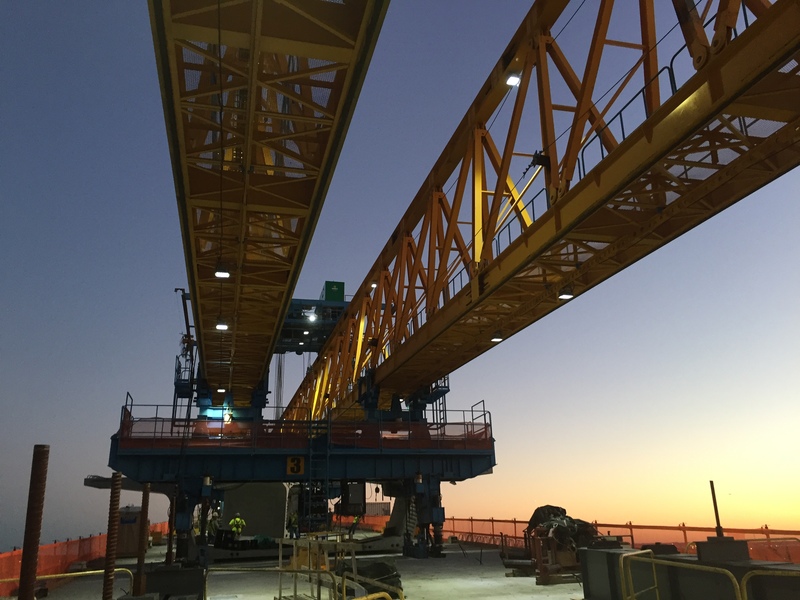 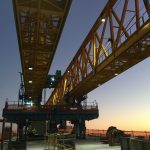 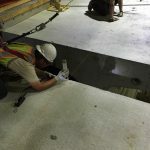 Services include integrated shop drawings, construction analysis and camber calculations, temporary support works, segment geometry, casting and erection evaluations, casting and erection manuals, post-tensioning calculations and stressing data, design office support and on-site bridge inspections.